A contender to Specification 0.22/26 calling for a high-speed shipboard reconnaissance-fighter capable of being flown with either wheel or float undercarriage and suitable for catapult operation from cruisers and larger warships, the S.10 Gurnard was awarded a two-prototype contract. One of the prototypes, the Gurnard I, was to be powered by a 525hp Bristol Jupiter X nine-cylinder air-cooled radial engine, and the other, the Gurnard II, was to have a 525hp Rolls-Royce Kestrel IIS water-cooled 12-cylinder Vee-type engine. 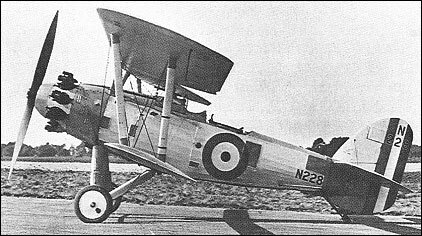 A single-bay biplane of metal construction with fabric skinning, the Gurnard had an armament of one fixed forward-firing 7.7mm machine gun and a similar-calibre weapon on a Scarff ring for the second crew member. The Gurnard II was the first to fly, on 16 April 1929, as a floatplane, the Gurnard I following in landplane form three weeks later, on 8 May. Both prototypes were tested at the A&AEE, but the Hawker Osprey was selected in preference and no production of the Gurnard was ordered. The Gurnard II was flown - commencing on 15 June 1931 - as an amphibian with a single main float.